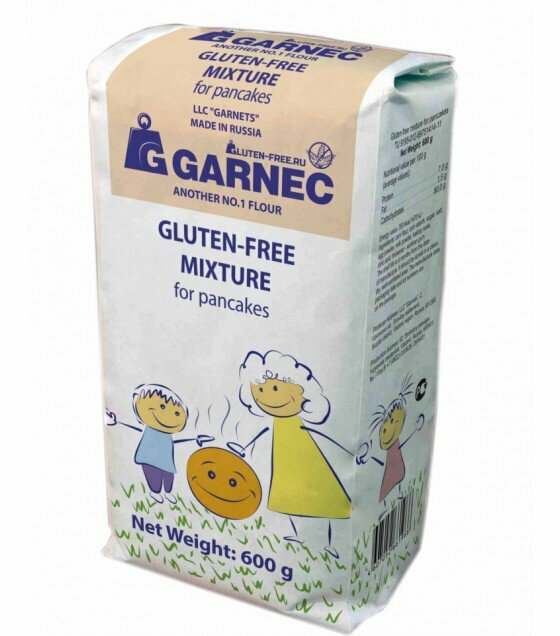 Gluten-free mixes “Garnec” don’t contain any chemical additives. They consist of several types of whole grain flour and corn starch. This product is suitable for people with gluten intolerance and celiac disease, as for people who want to follow a healthy diet. Garnec carefully selects raw materials for processing the products that provide the perfect properties of the mixes. Ingredients: rice flour, corn flour, flax flour, amaranth flour, starches: tapioca, corn, milk powder, egg powder, sugar, salt, sodium hydrogen carbonate, citric acid.